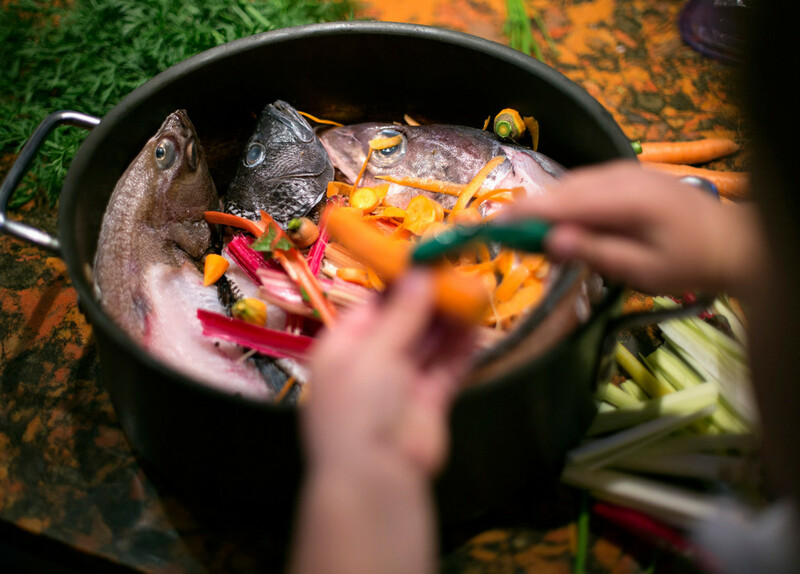 Teach children the tales behind the fish and raise good little sustainable eaters. 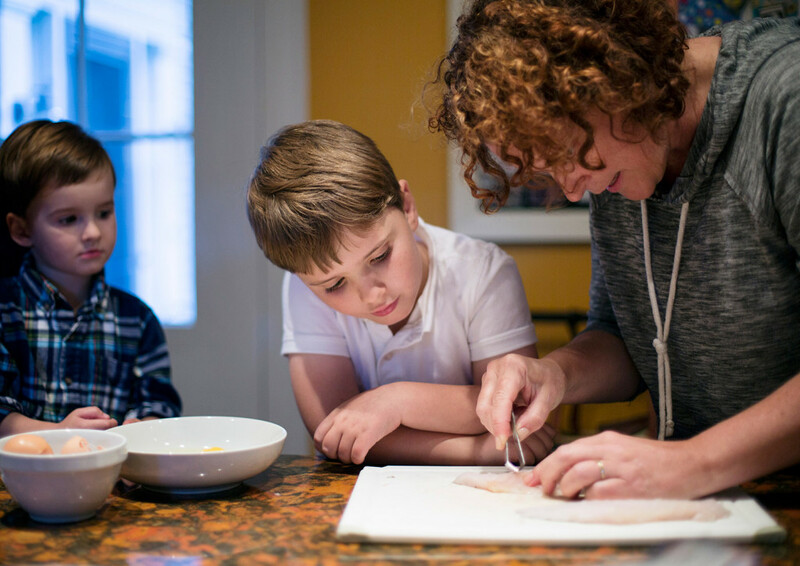 Teaching little kids about eating fish can be a scary proposition, sustainable seafood educator Colles Stowell says. As the principal of the One Fish Foundation, a Yarmouth-based nonprofit organization established in 2015, Stowell typically works with middle and high-school students to explain the intricate food web that connects them to fish. Fresh fish sticks with shoestring potatoes and carrot sticks. I buy whole fish and fillet them and use the bones to make fish stock. 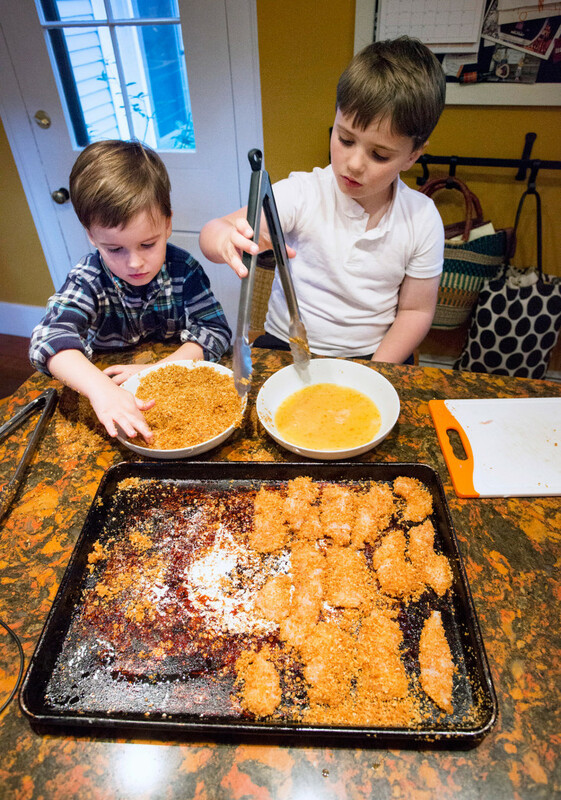 Toasting the bread crumbs ahead of time makes them really crispy on the finished fish sticks. Toss the bread crumbs with the butter, seafood seasoning and 1/2 teaspoon salt on a large, rimmed baking sheet. Toast in the oven until golden brown, 3 to 5 minutes. Transfer the crumbs to a shallow bowl, wipe out the baking sheet and line it with parchment paper. 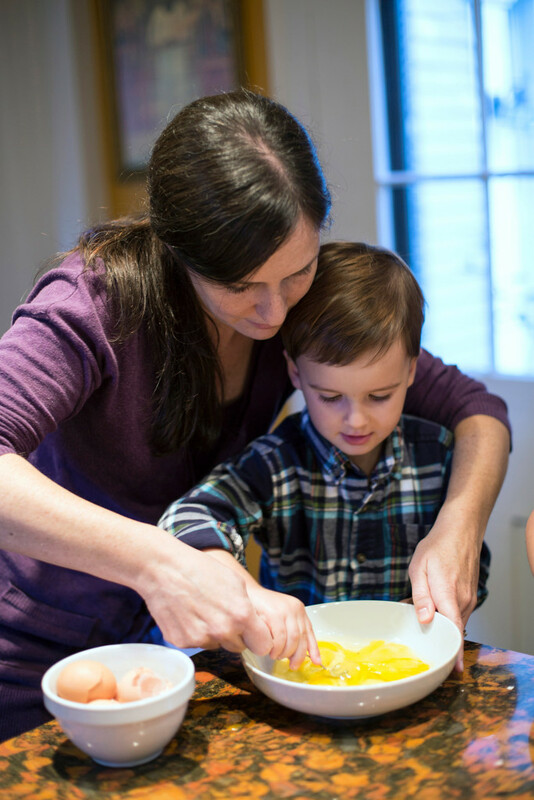 In a second bowl, beat the eggs with 1 tablespoon water and the remaining 1/2 teaspoon salt. Working with a few pieces at a time, dip the fish in the beaten eggs, then coat with the bread crumbs (pressing gently to help them adhere). Place in a single layer on the baking sheet. Bake until crisp on the outside and opaque on the inside, 8 to 10 minutes. The uncooked fish sticks can be frozen for up to 3 months. First freeze them on the baking sheets until firm, then transfer them to freezer bags. To cook, bake from frozen on parchment-lined baking sheets until crisp and opaque throughout, 18 to 20 minutes. He’s experienced with this crowd. 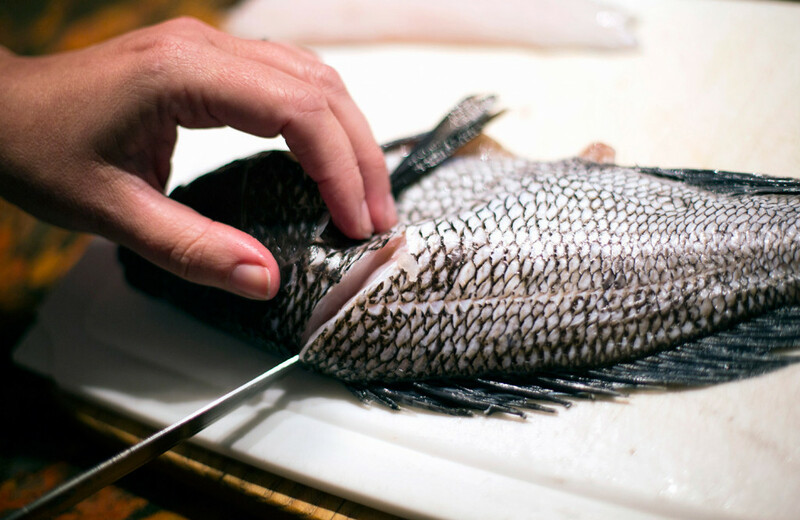 He explains how fishing pressures and climate change play into the quantities of fish they can (and can’t) expect to see on their plates in the future, and he likes to end on a positive note that encapsulates a sustainable seafood success story. But faced with a younger audience last spring – his 4-year-old daughter’s pre-kindergarten class – Stowell was terrified. “It’s so easy to scare the heck out of little kids,” Stowell said. 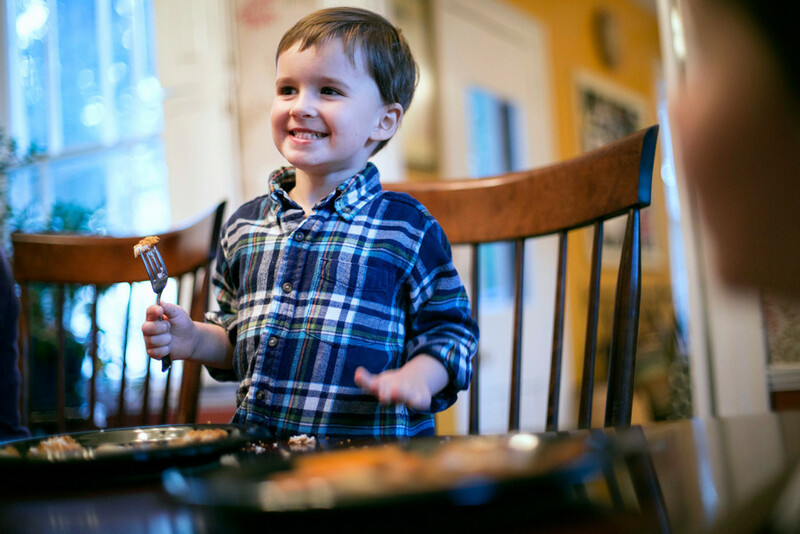 He noted that for some picky eaters, merely the thought of eating fish is scary, while the more adventurous young eaters might grow alarmed at the idea fish are vanishing from the wild. To both calm his own nerves and ease into the waters of sustainable seafood, he started with a story involving a turtle excluder. Most kids want to keep turtles safe, Stowell reasoned. So he explained that this was a device used by responsible fishermen to allow sea turtles to escape when they are caught in a net by accident. It lets them return to the surface of the ocean to breathe. Then, with the assistance of his daughter and her stuffed lobster, he walked and talked the children through the process of how crustaceans get into – and out of – modern traps so that only some are pulled up for us to eat, while many more are allowed to go free and go about the business of making more lobsters. By that point, Stowell had seeded their young minds with two ideas paramount to the sustainable seafood cause – minimizing by-catch and controlled fisheries management – without getting mired in complicated technicalities (or vocabulary) they wouldn’t yet be old enough to understand. 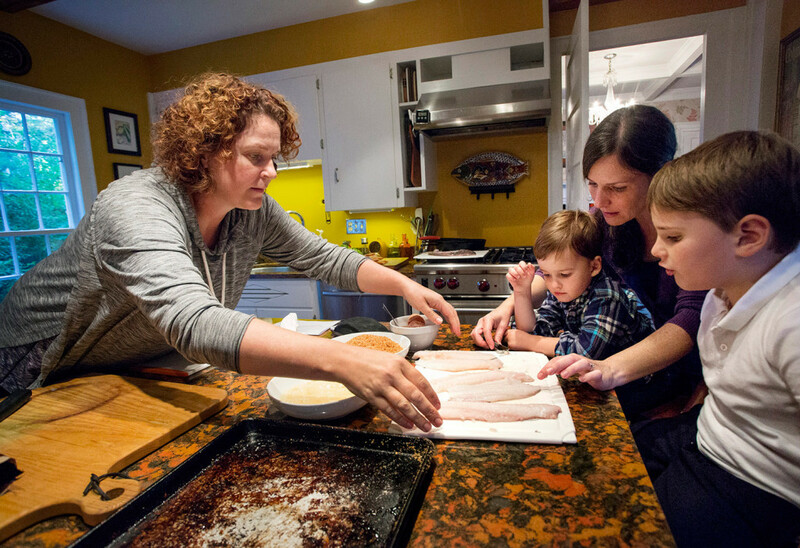 Stowell continues his seafood storytelling in the kitchen at home. Recently, he brought home some whole Acadian redfish, also known as ocean perch, for dinner. 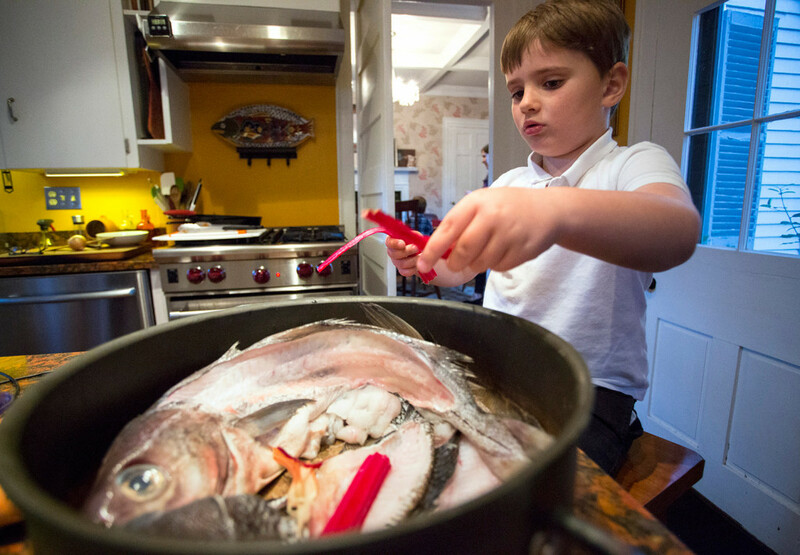 Firm and sweetly flavored, it’s a good variety to encourage kids (and grownups) to eat because it’s one of the most abundant fishes in the Gulf of Maine just now. “I laid it on the counter,” Stowell said, chuckling at the recollection of how his daughter grossed out her mother by poking the fish’s bulging eyes. Acadian redfish swim in big schools, really deep in the ocean, which is why they need such big eyes, he explained. So they can see what they eat as well as the bigger fish, like cod and haddock, which want to eat them. From there, Stowell marinated the redfish in ginger, garlic and tamari, and then grilled it. “She ate it very willingly,” said Stowell. The success lies in the narrative, he says. When my kids were young, we lived in land-locked central Pennsylvania and we rarely ate seafood at home, so I have no experience in telling them stories about fish. Unless, that is, you count Marcus Pfister’s “The Rainbow Fish,” which is about sharing, not sustainability. So I tried out Stowell’s teaching tactic on my buddies, Charlie and Henry Franz, ages 6 and 3, respectively. Armed with three whole fishes (haddock, America plaice and black seabass, all scaled and gutted at Harbor Fish in Portland) and their stories, courtesy of University of Maine’s Sea Grant online Seafood Guide, the boys and I sat around the kitchen island talking about them, turning their fillets into fish sticks (see recipe) and their other bits into stock, and eating them up, mostly with gusto. 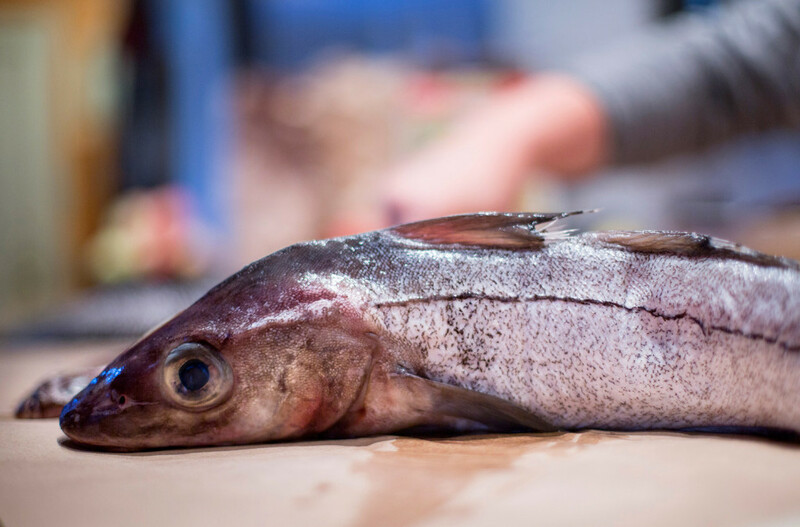 We talked about the big eyes on the haddock (they swim down deep with the Acadian redfish) and how the black racing strip down its sides sets it apart from cod, which will probably never return to the Gulf of Maine in the numbers their parents and grandparents knew. We discussed how plaice was a flatfish and one of a very few members of the flounder family that is not being over-fished at this time. And we used a map to trace the black sea bass’s movements up the coast as the oceans get warmer. I’d deem this exercise a storied success. 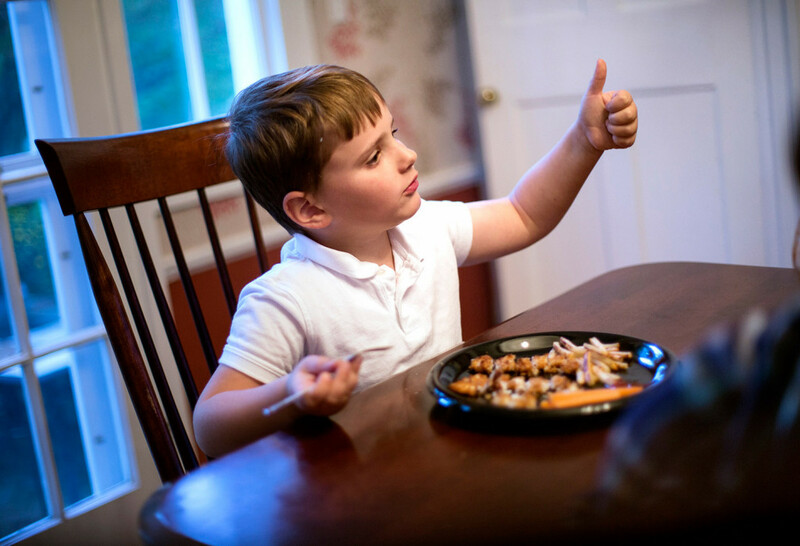 We touched on several sustainable seafood issues, the boys weren’t too squeamish about touching raw fish, and they both gave the fish sticks on their plate a big thumbs up.